So, was the classic sitcom actually just trying to sell us coffee the entire time? Imagine if your favourite sitcom was actually just a ploy by a huge coffee company to get you to drink their products? Sounds unlikely right? 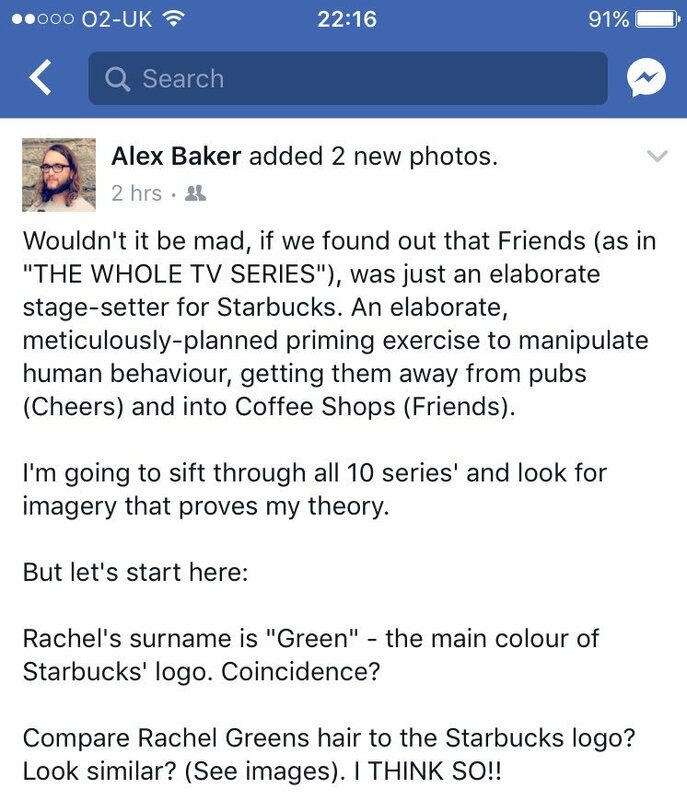 Well, not to Alex Baker who's elaborate Friends fan theory has gone viral after he suggested the entire show may have just been created in order to advertise Starbucks. Yep, really. 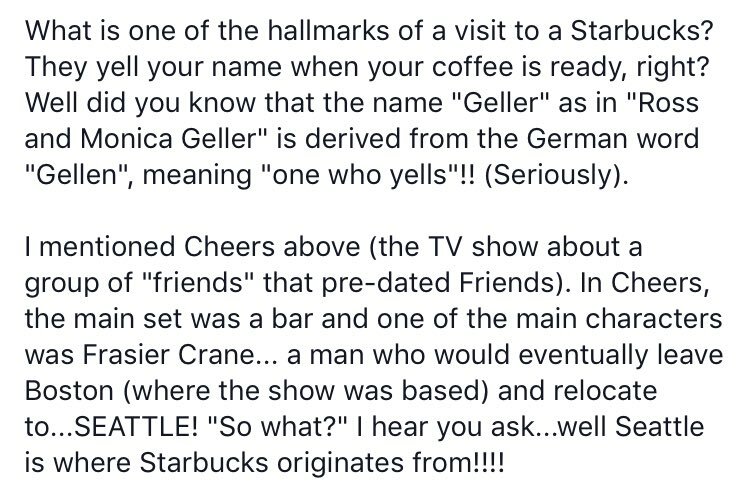 "Wouldn't it be mad, if we found out that Friends (as in 'THE WHOLE TV SERIES') was just an elaborate stage-setter for Starbucks. An elaborate, meticulously-planned priming exercise to manipulate human behaviour, getting them away from pubs (Cheers) and into coffee shops (Friends)." It would be mad. But we're definitely intrigued. 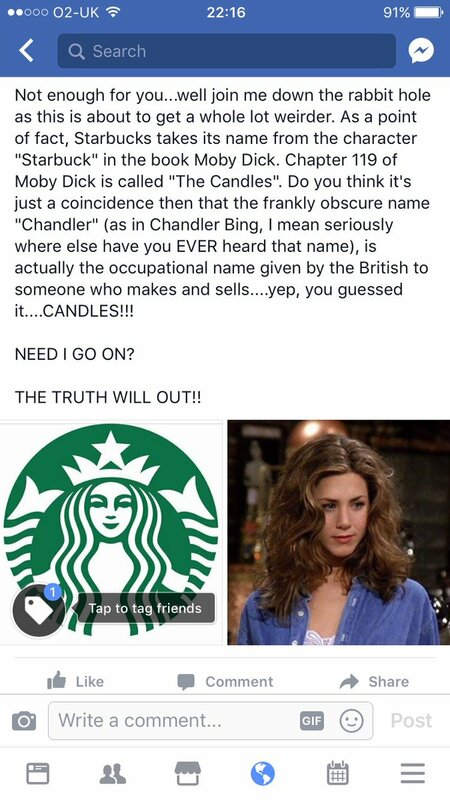 No word yet from the show's creators or stars as to whether or not they were actually spending 10 seasons flogging frappuccinos but we'll keep you posted if they release a statement revealing the truth. Friends is on basically every TV channel worldwide. 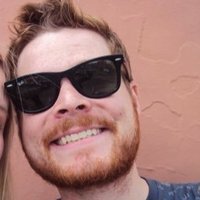 Starbucks is probably about to open a store on whatever street you are reading this. Coincidence?